The organic market is becoming a cornerstone of American agriculture. As demand for these products increases, USDA is working to open up new opportunities for home-grown organic producers to meet the needs of our growing international consumer base. USDA’s Agricultural Marketing Service has implemented equivalency agreements with several other nations that help both farmers and consumers benefit from international organic markets worth more than $35 billion. By building on our international trade relations, we ensure that American producers continue to be the gold standard in organic products. Hear from Monique Marez, Associate Director for International Trade for the Organic Trade Association. She explains how organic equivalency trade agreements have enabled our producers to export to places like Canada, the European Union, Switzerland, Japan and South Korea with less paperwork while ensuring that consumers can have confidence in the integrity of the organic seal no matter where they are. Join us throughout the month of June as we continue to explore how American agricultural exports have served as a bright spot for the U.S. economy since 2009 while helping to ensure our ambitious goals of ending poverty and hunger are met. 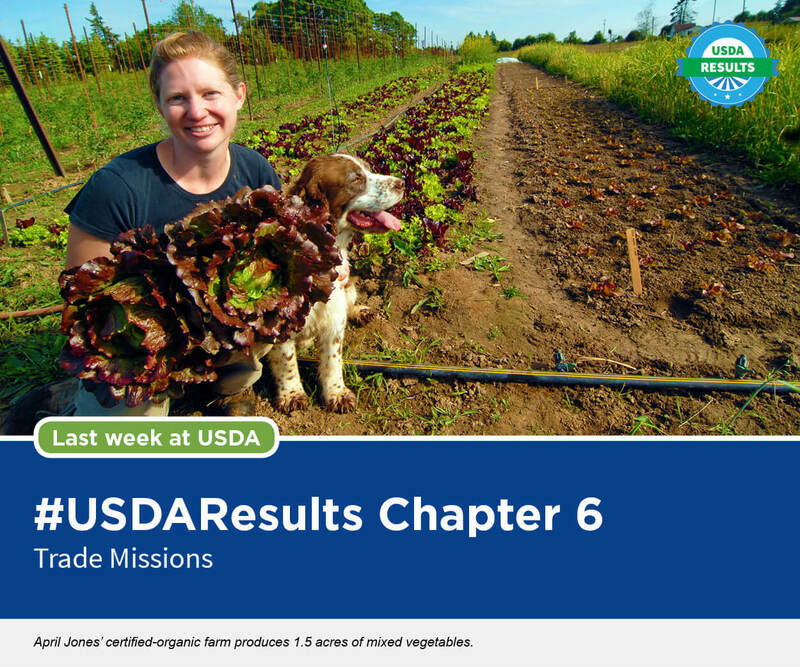 Follow along on usda.gov, on the USDA blog and by using #USDAResults, or catch up on Chapter VI on our Medium site. In June, we’ll look at how American agricultural exports have served as a bright spot for the U.S. economy since 2009 while helping to ensure our ambitious goals of ending poverty and hunger are met. AWA’s Tales from the Field is now AGW’s Tales from the Field – improved with your feedback!